British Columbia companies and individuals are in the crosshairs of the U.S. Department of Justice for allegedly defrauding seniors around the world with bogus promises of lottery winnings. In a Thursday posting on its webpage, the department said coordinated busts of various alleged elder fraud schemes around the world swept up the B.C.-based groups who are allegedly involved in mail fraud and in scamming millions of dollars each year. “The defendants targeted elderly and vulnerable consumers both in the United States and abroad, using U.S. addresses and the U.S. mails to try to legitimize their fraudulent schemes,” said U.S. attorney Richard P. Donoghue in a statement. The justice department did not say the B.C. groups had been charged but did say they are the targets of civil injunctions. The justice department alleges the two groups were operating similar mass mailing schemes. Victims are mailed notices that they’ve won cash prizes worth up to $1 million or more. All they have to do to claim the cash is send the groups a fee — but there is in fact no prize. “We have been trying to reach you in regards to the tremendous 1,500,000.00 Euro in cash and prizes we have identified as 100% GUARANTEED open, unclaimed and eligible for you to receive,” read one of the solicitation letters allegedly from one of the groups. “All that remains is for you to review the release form at the bottom of this page, [complete] and return it to our offices within 12 days along with your filing fee, so that we may file your claim and settle to you all relevant data for the entire aggregate total of awards and monies,” read another similar letter. The scams make millions of dollars every year, the justice department alleges, and the department has filed two injunctions to put a stop to the groups and seize their mail. One is against Vancouver-based companies Navigator Marketing Ltd. and Rockport Promotional Marketing, LLC and the principals of Navigator: Alexander Quaglia, Rychard McKeown and Brent Nishiguchi. The other is against two B.C.-registered numbered companies, a Wyoming company and four B.C. men — Andrew John Thomas, Patrick Fraser, Christopher Fraser, and Sylvain Munier — as well as Ubuki Kanehira of Ontario. Tom Steen, a mass-marketing fraud expert with the Competition Bureau of Canada, said the scam the B.C. groups are accused of running is a fairly common one. The scam is global, he said: it relies on various payment processors, mail sorters and even post office box rental companies across borders. That makes them challenging to investigate. 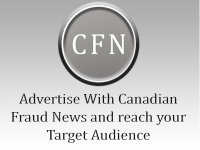 He says scams of this nature have targeted Canadians as well, and advises consumers to be cautious and report any suspicious solicitations. The maximum criminal penalty for deceptive marketing, he says, is 14 years in prison.